Graffiti Analysis is an extensive ongoing study into the motion of graffiti. Custom software designed for graffiti writers creates visualizations of the often unseen motion involved in the creation of a tag. Motion data is recorded, analyzed and archived in a free and open database, 000000book.com, where writers can share analytical representations of their hand styles. Influential graffiti artist such as SEEN, TWIST, AMAZE, KETONE, JONONE, and KATSU have had their tags motion captured using the Graffiti Analysis software. All tags created in Graffiti Analysis are saved as Graffiti Markup Language (GML) files, a new digital standard used by other popular graffiti applications such as Laser Tag and EyeWriter. Graffiti Analysis 2.0 is an open source project that is available online for free in OSX, Windows and Linux. You can download the 2 applications from ===> HERE < ===. Graffiti writers are invited to capture and share their own tags, and computer programmers are invited to create new applications and visualizations of the resulting data. What Martha Cooper did for archiving graffiti on film, and Chalfant/Silver did for archiving graffiti in video, Graffiti Analysis intends to do for archiving graffiti in code. The project aims to build the worlds largest archive of graffiti motion, and bring together two seemingly disparate communities that share an interest hacking systems, whether found in code or in the city. 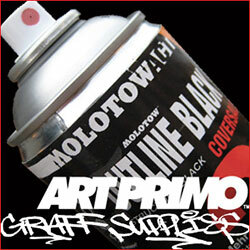 No reply to "Graffiti Analysis 2.0: Digital Blackbook"